Thrilled to have heard this week that a second of our projects has been shortlisted for the FX Awards, in the public sector category. 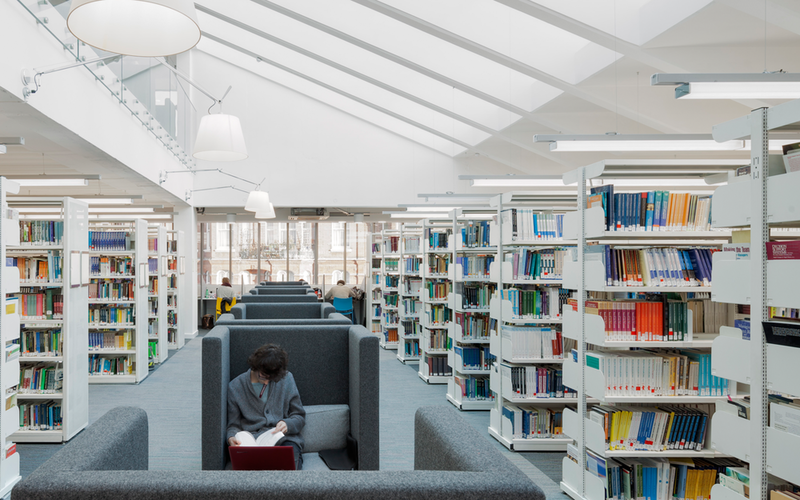 The Marylebone Library for the University of Westminster. 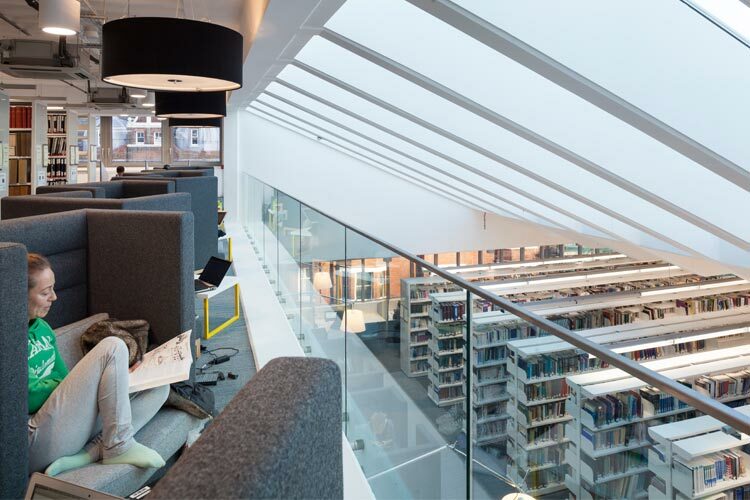 Following Rock Townsend’s initial library first floor refurbishment as part of the wider Marylebone Campus redevelopment, the team were appointed to work with the University to re-invigorate the existing tired and largely neglected uninspiring Library at 2nd & 3rd Floors. 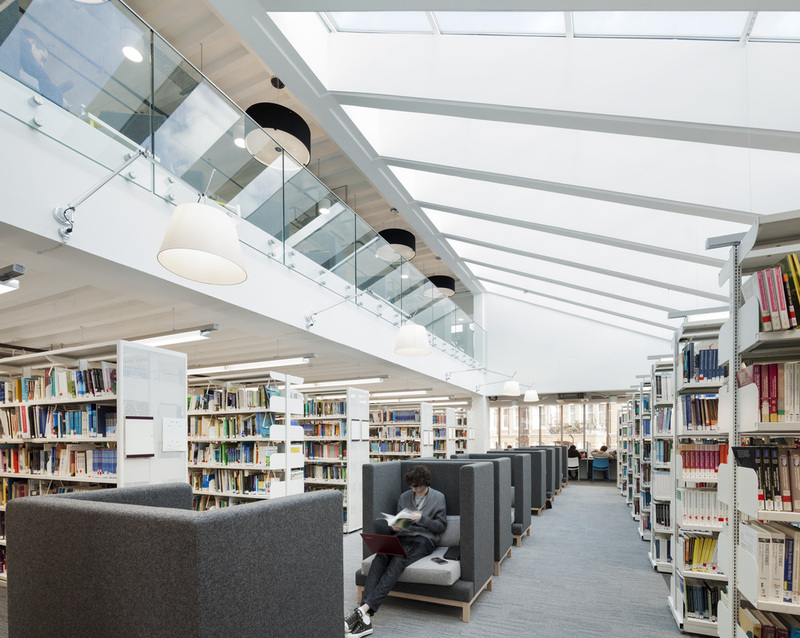 The client recognised the need for the library to fundamentally shift from what was a traditional grey library environment to provide a new experience and variety of flexible spaces for the multitude of different activities and needs of 21st C students. Rock Townsend focussed on three specific elements of the design; purging and refreshing the old, tired building fabric, embracing the 1960s brutalist concrete architecture, and redesigning the internal spaces. 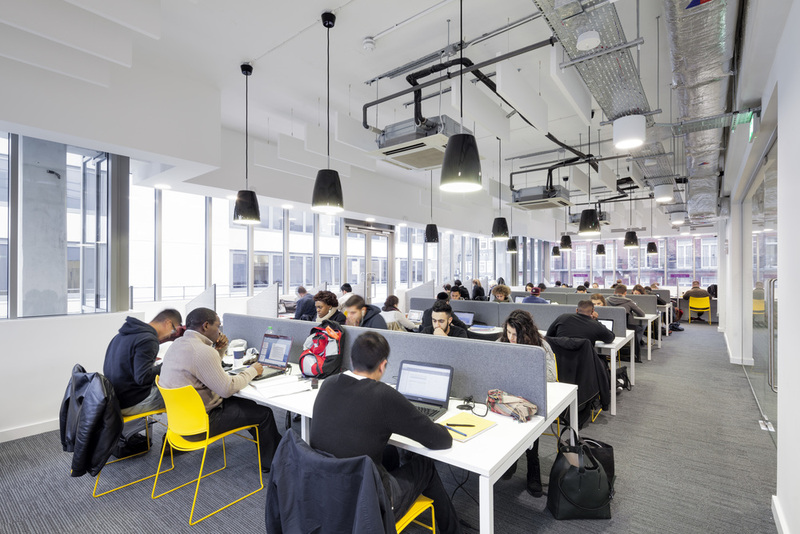 Read about our other shortlisted project, the Psychology Department, here.